The first day of MAX has ended. I had great time following pretty interesting sessions. This year I'm very focused on Flash Catalyst and Flex 4's sessions. Today the new beta of Flash Catalyst and Flex 4 has been announced and they're now available on the Adobe Labs. Steve Heintz, product manager of Flash Catalyst, during his Flash Catalyst session has given us a lot of interesting information about the product and its roadmap. These are some of the notes I've taken. At Flash On The Beach during my session about Flash Catalyst (soon all my slides will be published on my blog) I've showed how to open the Preferences dialog box. Since a couple of guys have emailed me to ask how to open the Preferences dialog box, I've decided to post it on my blog. Flash Catalyst beta hides the Preferences window. If you go to the Flash Catalyst menu you won't find anything. This is where you can see all the code that has been written by Flash Catalyst in the background while you were working with your graphic. Remember that the Code view is just a display area and it's not a code editor. In fact you can't edit or modify any line of code. Now, pointing the mouse on the code viewer and right-clicking the contextual menu will show you up the Preferences option. In this article, Andrew'll provide some hints and tips that will make it easier for you to move design assets from Illustrator to Flash Catalyst in a structured way. He'll also highlight some best practices in Flash Catalyst that will ensure you achieve the right result and minimize re-working or re-structuring your assets once work continues inside Flash Builder. FOTB09 is about to sold out again. From the last newsletter received, John Davey wrote that tickets sales will end way before the conference starts. Because of the phenomenal speed of sales this year, we are looking at a 3rd year in a row being sold out way beofre the event! We have never seen tickets go so fast! 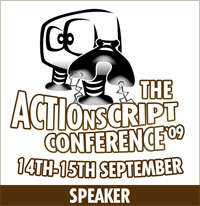 Since there's the real probabily that the conference will have sold out around 4th of Sept and most probably before then. Don't miss the opportunity to join this awesome event ! Flash Catalyst will change the way designers and developers will work together to create Rich Interactive applications. You'll learn key features of the latest version of Flash Catalyst as well as the technologies behind the tool such as the FXG format and the Flex SDK 4. You'll discover how to work with products such as Photoshop and Illustrator to create the look and feel and the user experience of a RIA, while automatically generating the necessary code in the background. 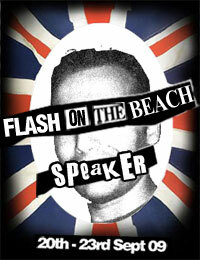 Flash on the Beach is behind the corner (20th-23rd Sept) and this year I'm again a confirmed speaker. I'm a little bit late about publishing my speech but I can give you an anticipation aying that I'll talk about Flash Catalyst. Soon I'll publish more info. I don't know how, considering FOTB is a terrific event, but John Davey, the organizer of the event is promising to make this year's event better than ever. And if there's one person who can do that you can bet he's John. Since tickets are going fast, do not hesitate and get your ticket to join this gorgeous event. See you there guys ! It's a great opportunity to learn more the new technologies from Adobe ! See you there. Read the full post "Talking about: Flex Gumbo - new features". 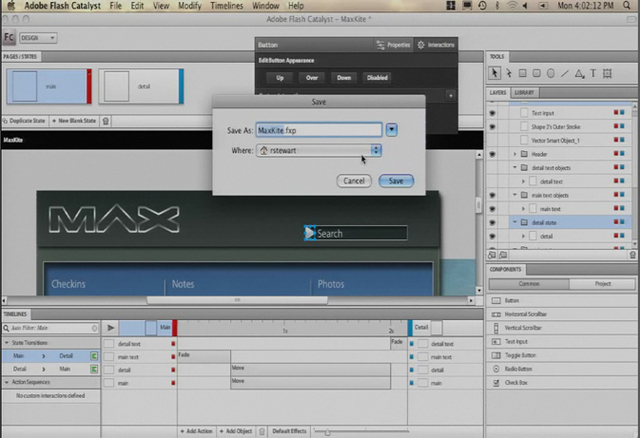 Ryan Stewart has published a cool videotutorial to get started with Adobe Flash Catalyst. Ryan also provided zip files for the tutorial and a written version is available on his blog. Start learning how the new Flex 4 component architecture and Flash Catalyst will change the way you now design and develop Rich Internet Applications ! Platform Evangelist Ryan Stewart and Product Designer Narciso Jaramillo provide a demo of Adobe Flash Catalyst, a powerful tool for creating application interfaces and interactive content — without coding.